Snacks are such an important part of our day! We love to provide healthy snacks in our home, because we have them so often! We were lucky to receive Simply 7 Snacks to review and share here on MamaBreak. Simply 7 Snacks is an all natural, non-GMO, gluten free ingredient company that produces a healthy alternative chip. They offer many varieties such as Hummus Chips, Lentil Chips, and our favorite Pomegranate Chips! Our favorite were the Pomegranate Black Pepper Chips! They were both sweet and spicy (as well as a little salty). They were so delicious! Even the kids loved them! The "chips" are small enough for even tiny hands, so they were a great snack for my 3 year old as well! 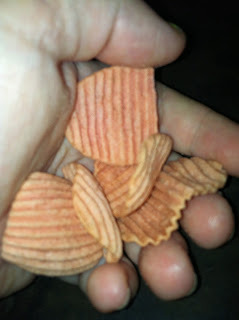 Many chips are too large for her to really eat, and these were the perfect bite size! Visit: www.simply7snacks.com to learn about all of their delicious AND nutritious flavors! Want to win your OWN variety of Simply 7 Snacks, similar to the variety pack (full sizes!!!) that you see above? Enter below! I would like to try the New White Cheddar Flavor! Totally agree with the White Cheddar! Hummus Sea Salt would be tasty! The White Cheddar sounds fabulous - thank you so much! Sea salt pomegranate chips sound delicious! I would like Creamy Dill. I like the Creamy Dill lentil chips! White cheddar or creamy dill! I like the Pomegranate chips. I would love the pomegranate chips! The White Cheddar or Black Pepper! I think the sea salt lentil chips would be my favorite! I like the spicy chili pepper hummus chips. I would like the white cheddar probably because I love most anything in cheese flavor. tomato basil hummus chips sound good! I want to try the white cheddar chips. The Spicy Chili Pepper Humus chips sound delicious! humus and sea salt hands down! The Tomato Basil Hummus Chips would be my item of choice! 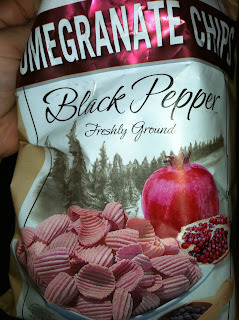 I like the White Cheddar Pomegranate Chips. I love the sound of the Tomato Basil Hummus Chips! I think the White Cheddar Pomegranate Chips sound intriguing. I'd love to try the jalapeno chips! Pomegranate sea salt yes please! Thanks for the chance to win something great! I like The White Cheddar! I like the Lentil Chips Sea Salt.